DJ Shah Munir, Pakistan’s official representative for the Red Bull Thre3style World Finals in Tokyo which is going to start this week, reinstated the weekend flavor on a Monday evening by treating the crème de la crème of the blogger community of Pakistan with captivating tracks in Karachi. 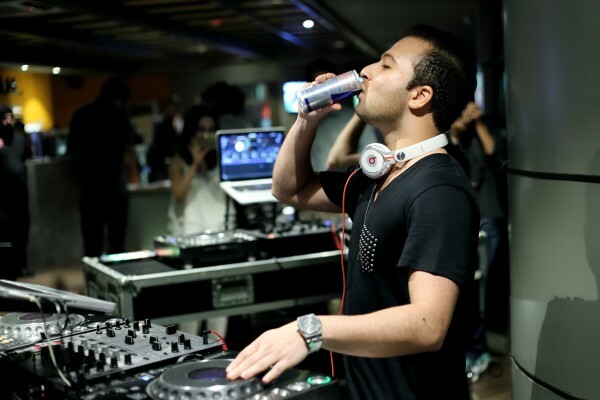 In order to understand the young DJ better, the bloggers spent some quality time with Shah Munir and asked questions related to Red Bull Thre3style which is due to take place this week in Tokyo. 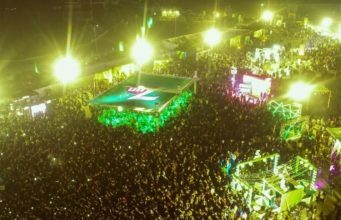 Not only did they (bloggers) spent time with Pakistan’s official representative at the Red Bull Thre3style World Finals but also took selfies with Shah Munir that were instantly shared on various social media platforms; thus turning the event into a glittery affair! 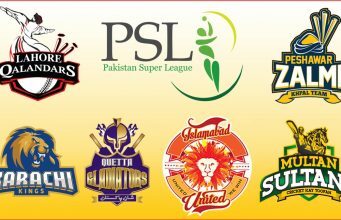 ‘I am truly touched by the support extended by the bloggers and media that showed up at today’s event’ said DJ Shah Munir. 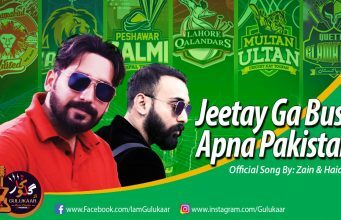 ‘This proves that the Pakistani media, be it digital or traditional, supports music and is willing to take extra steps to promote promising talent’. Also present at the event was Bilal Khan from Moving Images (production house) who will be shooting a documentary capturing some key moments of Shah Munir’s journey at the world’s biggest DJ competition. 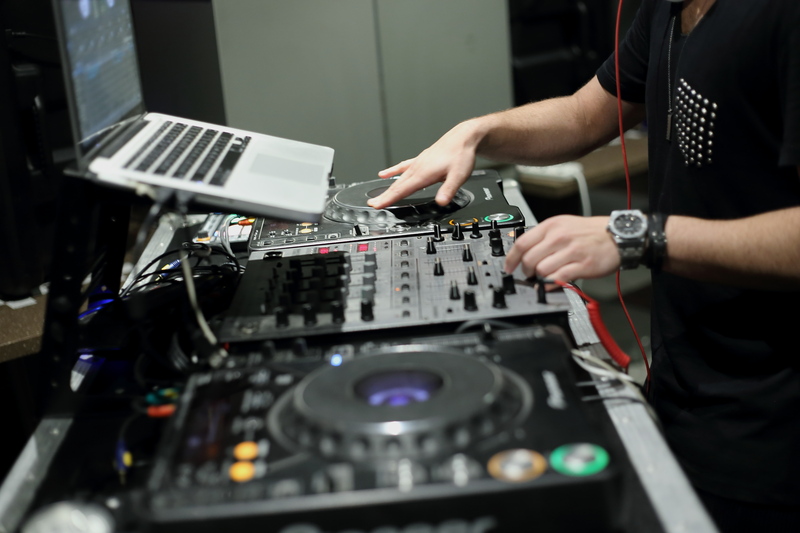 ‘Really looking forward to capturing some key moments of this young talented DJ at the World Finals’ said Bilal Khan. ‘We have some great ideas in mind for the documentary and we will try to make the most out of this amazing event. The purpose of the documentary is to share Shah Munir’s Red Bull Thre3style journey with both global and local audience’. The Meet and Greet session began with an overview of the concept behind Red Bull Thre3style; its background, rules, expectations from the World Finals and Shah Munir’s presence at the said event. This was followed by Shah Munir’s entry that was greeted with loud cheers and applause. 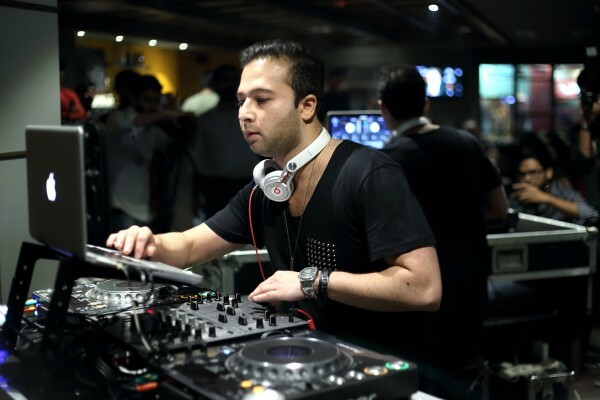 Shah gave a detailed account of his background in music; shed some light on his style of music and how he felt deeply honored to represent Pakistan at the global DJ competition. ‘I am truly honored, nothing beats or even comes closer to representing your country’ said Shah Munir. ‘I am excited as I am just a few days away from attending the event. I can’t wait to meet other DJs and talk about the DJ scene in Pakistan’. The Red Bull Thre3style World Finals this time takes place in the heart of Japan i.e. Tokyo. With only fifteen minutes to mix at least three genres of music and demonstrate the level of skill and expertise. DJs representing Albania, Azerbaijan, Brazil, Canada, Chile, Germany, Japan, Kosovo, Latvia, The Philippines, Poland, Portugal, South Korea, Switzerland, Taiwan, Thailand and the US will take part in a week of events from 15-20 September; 2015. Shah Munir’s resume reads like a seasoned veteran – from being showcased at esteemed venues such as 1 Oak and Provocateur in New York City, catering to the A-list crowds in Miami and London, to performing for the likes of Kanye West, Pharrell Williams and AVICII. Shah has also had the opportunity to spin for corporate clients such as Vogue, Armani and Cartier. Such international performances and collaborations, as well as his unique talent to understand and adapt to both crowd and setting has made his reputation reverent and his performances unprecedented. For the first time ever, the Grand Final will be live streamed on redbullthre3style.com, meaning fans will get to experience the adrenaline, drama and inimitable energy of a Thre3style World Final – and see the ISPs in action.